Learn more about The Revenge of Geography at Amazon.com. Water will make Turkey a greater power in the Arab Middle East in the 21st century than it was in the 20th. Turkey's control of the headwaters of the Tigris and Euphrates gives it the ability to cut off the supply of water to Syria and Iraq. The Ottomans were focused on their northwest, toward Europe, where the wealth and lucrative trade routes were. 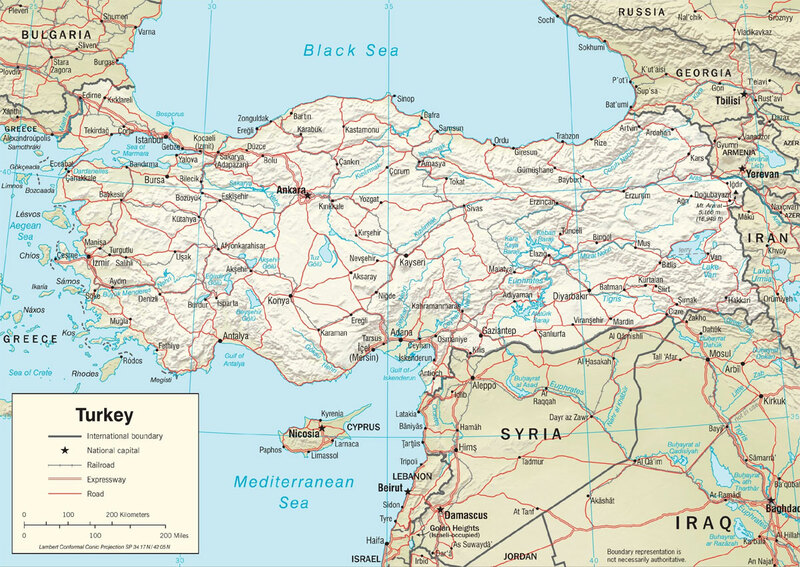 Turkey’s position as a land bridge bracketed between the Mediterranean to the south and the Black Sea to the north makes it, in part, an island nation. While Turkey influences its surrounding areas, it is not geographically pivotal in the way that Iran is to its neighbors. Turkey’s influence in the Balkans to the west and Syria and Mesopotamia to the south is primarily economic. Only in the Caucasus, and particularly in Azerbaijan, where the language is very close to Turkish, does Turkey enjoy the level of diplomatic influence that can dramatically affect daily politics. However, the fact that Turkey controls the headwaters of the Tigris and Euphrates gives it, literally, a terrific geographical advantage. It has the ability to cut off the supply of water to Syria and Iraq. If Turkey were actually to do this, it would constitute the equivalent of an act of war. Thus, Turkey must be subtle in pressing this advantage. It is the fear that Turkey might reduce the water flow, through upriver diversions for its own agricultural development purposes, that can give Turkey considerable influence over Arab politics. A relatively new geopolitical fact that is often overlooked is the Southeast Anatolia Project, whose centerpiece is the Ataturk Dam, 25 miles north of Sanliurfa near the Syrian border. Almost 2,000 square miles of arable land in the Harran plateau is being irrigated via gravity-flow water diverted from this dam. The whole Euphrates River dam system, planned in the1970s and built in the 1980s and 1990s, which actually has the capacity to pump water as far as the water-starved West Bank in Palestine, will make Turkey a greater power in the Arab Middle East in the 21st century than it was in the 20th. The heightened political profile that Turkey has adopted of late should be seen in the context of this new geographical reality. While recent headlines show Turkey turning its attention to the Middle East, this was not always the case. From the rise of the Ottoman Turkish Empire in the 13th century, the Ottomans were mainly focused on their northwest, toward Europe, where the wealth and lucrative trade routes were. This was a pattern that had begun in the late Middle Ages, when the ascent of Central Europe and of the Carolingian Empire acted like a magnet for Turkish tribes, who themselves had gravitated westward across Anatolia to the Balkans, to the most fertile agricultural lands in Asia Minor’s immediate vicinity. Turkey may be synonymous with the entire Anatolian land bridge, but (as with Russia) the nation’s demographic and industrial heft has for centuries been clustered in the west, adjacent to the Balkans, and relatively far from the Middle East. But though the Ottomans were clustered near Europe, Anatolia’s exceedingly high and rugged terrain, with each mountain valley separated from the next, hindered the creation of tribal alliances that might have challenged Ottoman control in the areas closer to the Caucasus and the Middle East. Indeed, because geography made for social “disruption” in eastern Anatolia, organized dynasties like the Seljuks and Ottomans could rule for hundreds of years at a time from their base in faraway western Anatolia (i.e., European Turkey) without worrying about unrest in the east. Thus, Turkish demography has accentuated Turkish geography. Anatolia is further removed from the Middle Eastern heartland than the Iranian plateau, and the move toward a northwestern spatial arrangement of the Turkish population in recent centuries has only made it more so. Ottoman military forays into Central Europe, which had the flavor of nomadic wanderings and culminated in 1683 with the siege of Vienna, were eased by Europe’s own political fragmentation. Arising from this geography came a sprawling, multinational empire that by the late 19th century was in its death throes, with the Ottoman Sultanate only giving up the ghost in the aftermath of its defeat in World War I.
Mustafa Kemal Ataturk (Father Turk), the only undefeated Ottoman general, who forged a modern state in Anatolia following the imperial losses in the Balkans and the Middle East, was an authentic revolutionary. That is, he changed his people’s value system. He divined that the European powers had defeated the Ottoman Empire not on account of their greater armies, but on account of their greater civilization, which had produced the greater armies. Turkey would henceforth be Western, he said, marching culturally and politically toward Europe. Thus, he abolished the Muslim religious courts, forbade men to wear the fez, discouraged women from wearing the veil, and replaced the Arabic script with the Latin one. But as revolutionary as these acts were, they were also the culmination of a Turkish obsession with Europe going back centuries. Though Turkey remained neutral during most of World War II, Kemalism — the pro-Western, secularist doctrine of Kemal Ataturk — guided Turkey’s culture and particularly its foreign policy right up through the end of the first decade after the Cold War. Indeed, for years Turkey entertained hopes of joining the European Union, a fixation that Turkish officials made clear to me during many visits to the country in the 1980s and 1990s. But in the first decade of the 21st century, it became apparent that Turkey might never gain full membership in the EU. The reason was blunt, and reeked of geographical and cultural determinism. Though Turkey was a democracy and a member of NATO, it was also Muslim, and thus not wanted. The rejection was a shock to the Turkish body politic. More important, it merged with other trends in society that were in the process of issuing a grand correction to Turkish history and geography. Ataturk’s definition of nationality was strikingly modern. He often declared that whoever says he is a Turk, speaks Turkish and lives in Turkey is a Turk. He moved the capital to Ankara, in the heart of Anatolia, from Istanbul (Constantinople) in European Turkey. His strategy was to build a uni-ethnic Turkish state out of the heartland of Anatolia, which would be firmly anchored toward Europe and the West. The problem was that by focusing on Anatolia, he unwittingly emphasized Islamic civilization, which was more deeply rooted in Asia Minor than in the European Turkey of Constantinople. 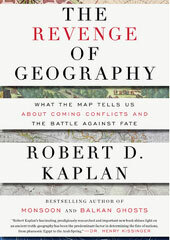 Editor’s note: This essay is adapted from The Revenge of Geography: What the Map Tells Us About Coming Conflicts and the Battle Against Fate (Random House) by Robert D. Kaplan. Published by arrangement with Random House. Copyright © 2012 by Robert D. Kaplan. Will Egypt Today Share the Fate of Turkey in 1911? 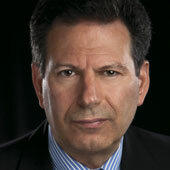 Robert D. Kaplan is an author and chief geopolitical analyst for Stratfor.